Some time ago, while helping my father pack for a house shift, we came across an old 120 film folding camera. I vaguely remember seeing and perhaps playing with this particular camera as a kid, but had not seen it since. It has probably spent much of the last 50 or so years stored in a drawer of the (now fastidiously restored) Bureau. Recalling my parents’ cameras when I was a kid, I remember Dad had a Kodak Retina 1a, and there was a Box Brownie that was possibly Mum’s, but not sure about that. No idea where those cameras are now, so glad to have come across this one and be asked if I would like to have it. The monetary value is not high, but the personal value is, and the history interesting. 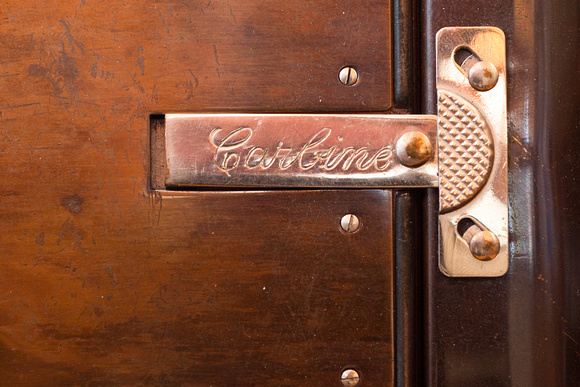 The leather carry case has the initials HLNC ‘engraved’ (scratched neatly) on it, so the camera came from Harry Cobban on my mother’s ‘Cobban’ side of the family . The camera was made in England by The Houghton-Butcher Mfg Co Ltd, London, and is identified as an Ensign Carbine No 12 Tropical Model. At this point, it would appear that the camera is from the mid 1920’s. It seems to be unique when compared to other Tropical Models I have seen cataloged on the web in that it has a timber frame, seen below on either side of the brass frontplate. Most were brass, or other metals, some were leather covered. 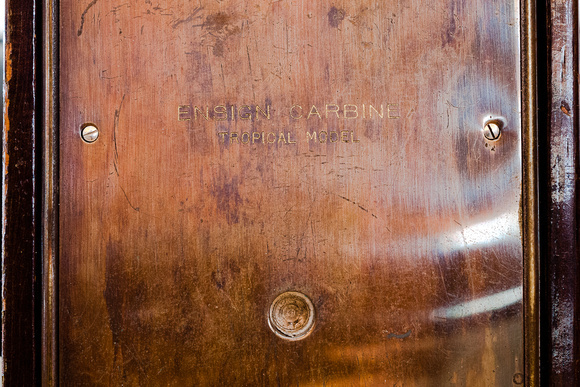 Carbines came with a variety of lenses and shutter mechanisms. 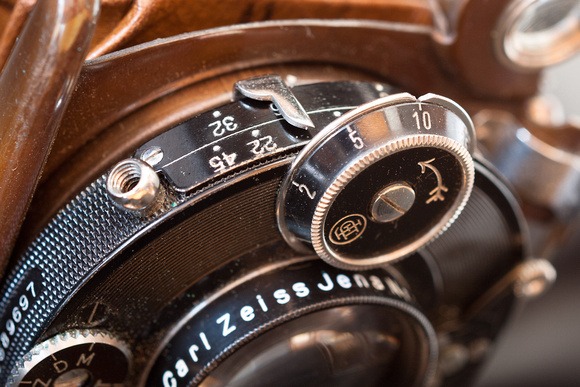 This one is adorned with a Carl Zeiss Tessar 12cm f4.5 lens, and a Compur 1-250 Shutter. The casing bears the signs of use and age, although it is in good order and is operable. There is a missing screw on one of the bellows support arms that would be effecting the alignment of the lens to the film plane when unfolded, not impossible to fix. The bellows is in remarkable condition. 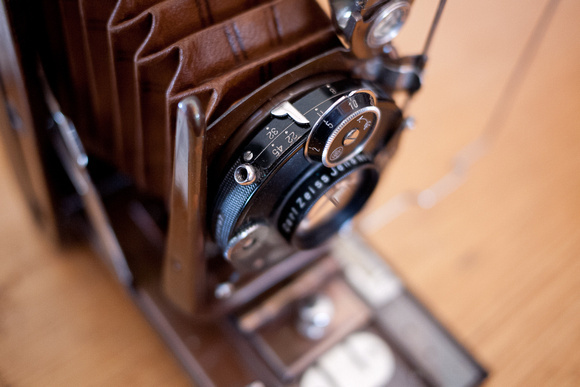 The simple construction and mechanical design has stood up well for a camera that is heading towards 90 years old.